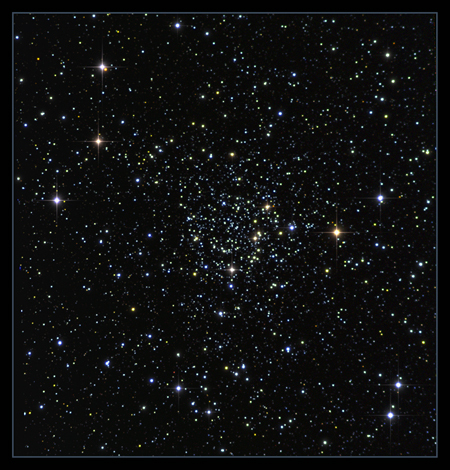 NGC 7789, 'Carolines' Rose', or the 'White Rose' cluster. 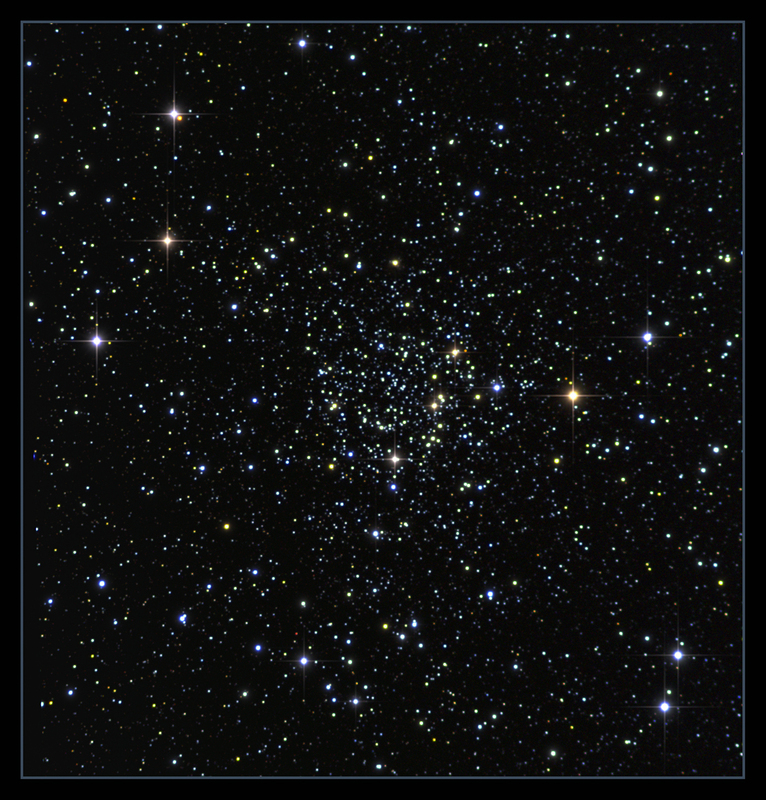 What a lovely romantic name this cluster has.The right sort of name for such a beautiful cluster, and a marvellous memorial to Caroline Herschel, sister of William and aunt to John, and the discoverer of this cluster in 1783. Not only did she come to England from Germany when she was 22 to be housekeeper for William, and vocalist for him when engaged as an organist, but she became his assistant and was a top rate astronomer in her own right, although often overshadowed by the fame of William and John, and responsible for many entries in the Herschel catalogue. In recognition of her services to astronomy, she received the gold medal of the Royal Astronomical Society in 1828 and was made a Fellow of the RAS in 1835, the first woman to be made a member. She never married, and died in 1848, at the ripe old age of 98. The cluster is roughly 1.6 billion years old, about the time that the first blue-green algae were forming on earth, and before the first plants. Because of its age, it contains a lot of giant stars that are coming out of their main sequence, and going into the red giant stage. While processing this, I was surprised at the amount of really red stars lurking in the background. It is 7,600 light years away from us, in Cassiopeia, and at a little below magnitude 6 is easily visible in binoculars or a small telescope.